The countdown to home for the holidays has begun! Whether you’re traveling from the north, south, east, or west, Braum’s is the perfect stop along the way. In fact, many work Braum’s into their holiday traditions, making us their last stop out of town, or their first stop upon their return. Amy Winn Cowdrey is one of those people with a heartwarming holiday tradition centered around a frosty treat. Kristine Bramwell has fond holiday memories as well. “When we used to travel from Tulsa to Kansas City, we would stop on the way home to Tulsa to grab some ice cream for our freezer. … Those were the good ol’ days,” Bramwell chimed in on Facebook. And it won’t be long before Betty Ann Darrell Harp has a Braum’s tradition of her own. “I’m sure it will be a tradition, as soon as we get moved to Oklahoma,” she wrote on Facebook. Whether you have a longstanding tradition, or you plan to start one this year, you can use our location map to find the nearest Braum’s to make you feel right at home. If you’re looking to fold some more memories into your on-the-road holiday traditions, keep reading for our suggestions on the best games to play while traveling for the holidays. 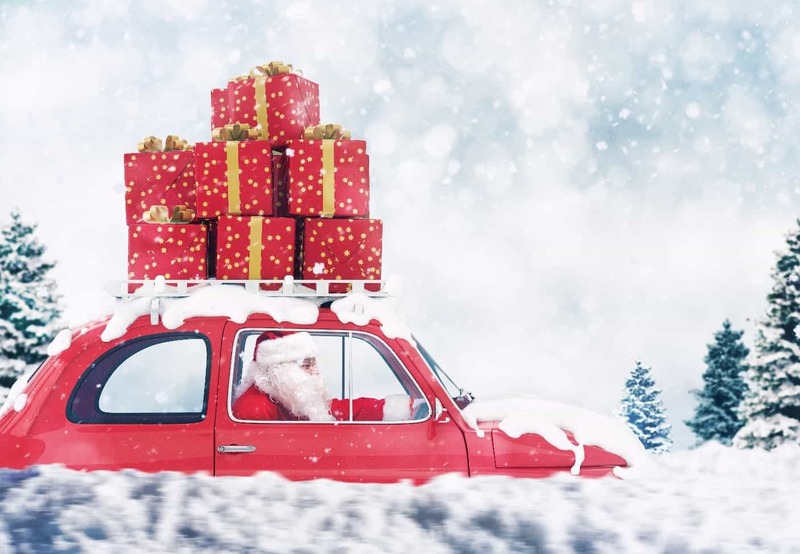 No need to be bored while driving miles; we’ve listed a few games below to not only keep you awake but get you in the holiday spirit. How to play: Starting with the driver and go around in alphabetical order naming a holiday item. This could be a song, decoration, or even a gift. For example: If the driver says “artificial tree,” the first passenger can call out “blizzard,” and the second passenger might chime in “cookies,” and so on. There are endless categories, so have fun and be creative! Have other games you love to play on road trips? Share them with us on social media and while you’re traveling, and make sure to take some selfies with your treats from Braum’s. A pic with ice cream makes for the perfect Instagram photo. Tag us on Instagram or Twitter and they may even be shared with our followers. We’ve even listed some clever captions below. Forget the Figgy Pudding, I Want Ice Cream! After playing all these games, you’ll probably get a little hungry. Make sure to stop by Braum’s for lunch or dinner and pick up some goodies from our Fresh Market store while you’re there. From peanuts to party mix, we’ve got your road trip snacks covered. Don’t forget the ice cream while you’re there! From our family to yours, enjoy your travels and happy holidays!